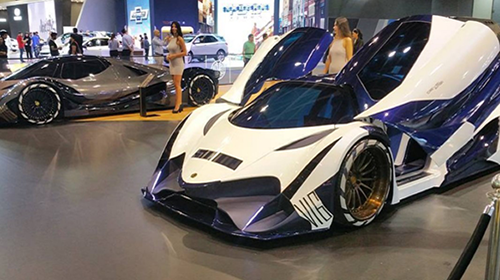 The 5007 HP Devel Sixteen production version launched at Dubai International Motor Show 2017 to pioneer a new era that never has been achieved before. 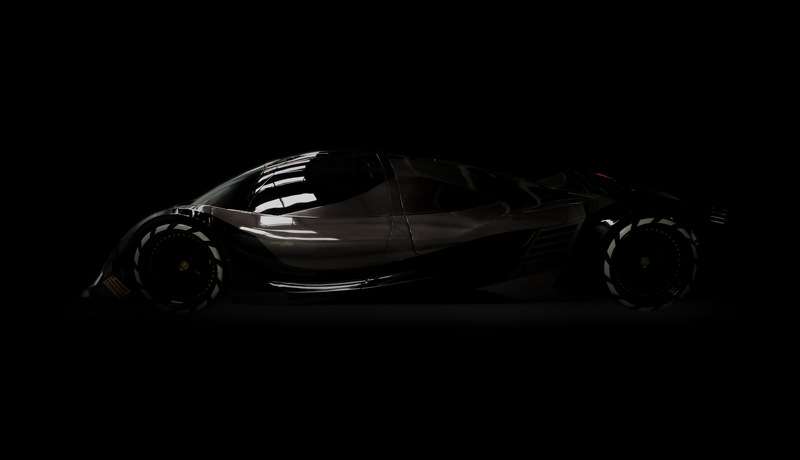 The all-new production model of Devel 16 has a super lightweight, high-strength Carbon fiber body. 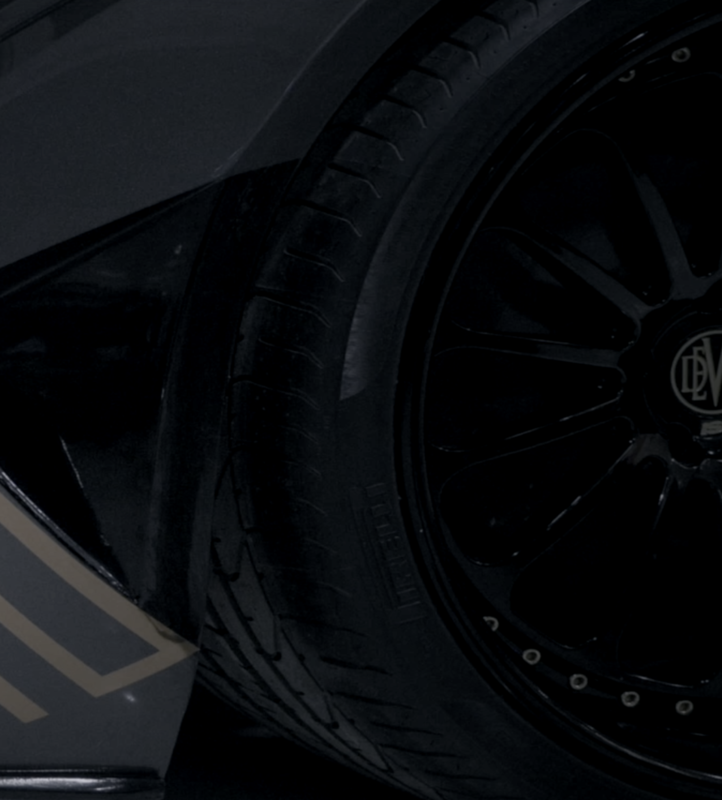 Extensive research and development into the aerodynamics of the car have lead Devel Motors to push the boundaries of the industry, achieving unprecedented and unparalleled power in a production hyper car. The 81 mm Quad Turbo 12.3 Litre V16 engine generates massive power- 5007 Horsepower and 3757 lb-ft of torque. Oval 3 Copy 5 Created with Sketch. the ultimate breakthrough feeling of a jet fighter with a power surpassing any car in the world. To the Devel Media Section left-arrow copy Created with Sketch. The era of the 300mph supercar may soon be upon us. 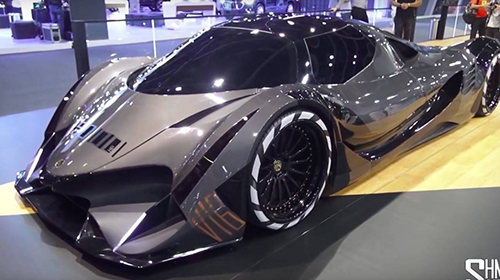 Four years ago, Devel Motors took the automotive world by surprise when it announced plans to build a 5,000-hp hypercar. 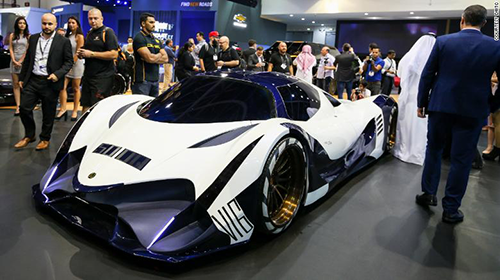 Dubai’s Devel shocked the world four years ago when it announced plans for a 5,000-horsepower, V-16-powered car capable of speeds over 300 mph. To the Devel Social Media Wall left-arrow copy Created with Sketch.